Manhattan Prep's best-selling 5 lb. Book of GRE Practice Problems has been updated to include an online companion of lessons from Interact™ for GRE, our revolutionary interactive, on-demand learning platform. In addition, the book now includes new mixed timed sets, a cheat sheet of key math rules, and micro drills to test individual skills. 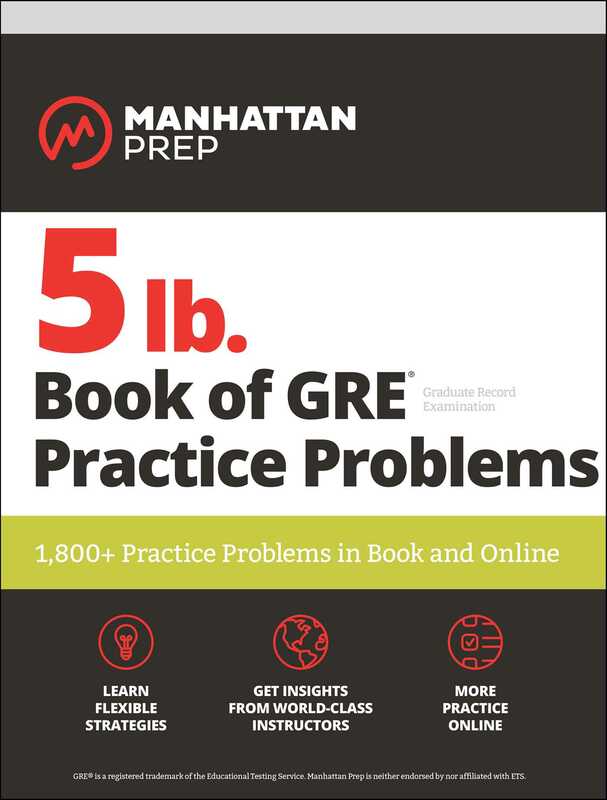 The heart of the book is over 1,800 practice problems covering every topic tested on the GRE, making it an essential resource for students at any level. Developed by our expert instructors, the problems in this book are sensibly grouped into practice sets and mirror those found on the GRE in content, form, and style. Students can build fundamental skills in math and verbal through targeted practice while easy-to-follow explanations and step-by-step applications help cement their understanding of the concepts tested on the GRE. In addition, students can take their practice to the next level with learning modules from Interact™ for GRE, our revolutionary interactive, on-demand learning platform.